Adjacent to Carlin Park, this family-friendly oceanfront resort is 2 miles from Jupiter Lighthouse, 9 miles from Gardens Mall, 20 miles from Palm Beach and Worth Avenue shopping, and 22 miles from the Palm Beach airport. 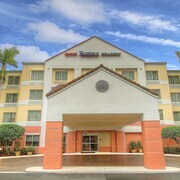 Situated in the suburbs, this hotel is 0.9 mi (1.5 km) from Burt Reynolds Park and 1.9 mi (3.1 km) from Jupiter Beach. Maltz Jupiter Theatre and Carlin Park are also within 2 mi (3 km). Situated in the historical district, this hotel is 1.8 mi (2.9 km) from Hibel Museum of Art and 3.1 mi (4.9 km) from Jupiter Beach. Jupiter Inlet Lighthouse and Jonathan Dickinson State Park are also within 3 mi (5 km). 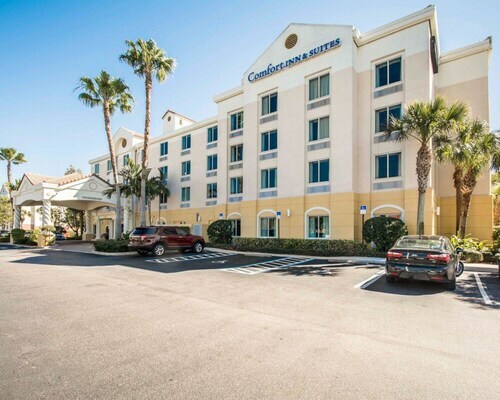 Located in the heart of Jupiter, this hotel is 0.3 mi (0.5 km) from Burt Reynolds Park and 1.6 mi (2.6 km) from Jupiter Beach. Maltz Jupiter Theatre and Carlin Park are also within 1 mi (2 km). Situated in Jupiter, this hotel is within 1 mi (2 km) of Limestone Creek Natural Area and Busch Wildlife Sanctuary at Loxahatchee River District. Loxahatchee River Battlefield Park and Riverbend Park are also within 3 mi (5 km). How Much is a Hotel Room in Jupiter? 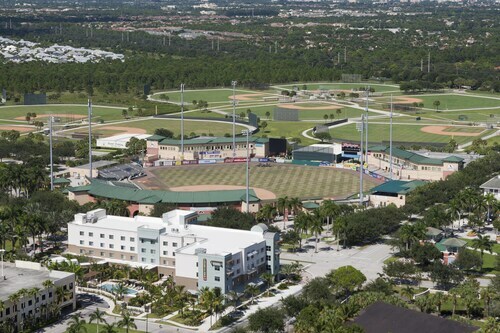 Hotels in Jupiter start at $93 per night. Prices and availability subject to change. Additional terms may apply. On the hunt for a place to hang your hat in the heart of Jupiter? Travelocity's travel guide currently has 4 accommodation options in and around the center and surrounds of Jupiter. 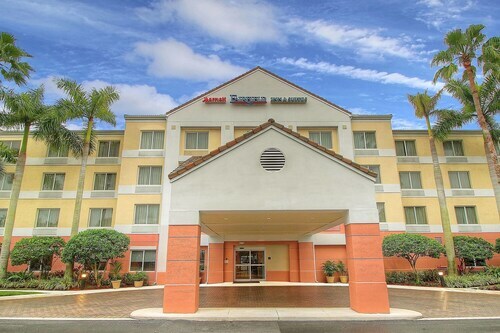 Some of the hotels located not far from the center of downtown Jupiter are the Comfort Inn And Suites and Fairfield Inn and Suites by Marriott Jupiter. If you choose to organize a place to stay positioned in the vicinity of the Jupiter Inlet Lighthouse, the Jupiter Beach Resort & Spa and the Jupiter Waterfront Inn are two agreeable choices. The Jupiter Beach Resort & Spa is only 1 mile (2 kilometers) away from the Jupiter Inlet Lighthouse. The Jupiter Waterfront Inn is 2 miles (3 kilometers) away. 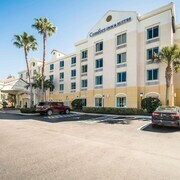 Comfort Inn And Suites is one of the small selection of budget accommodations in Jupiter. 18 miles (30 kilometers) outside of the main part of Jupiter, you can find the The Breakers Palm Beach. The Palm Beach Marriott Singer Island Beach Resort & Spa is about 14 miles (23 kilometers) away. The Colony Hotel Palm Beach and the The Brazilian Court Hotel are two more Travelocity-listed options in Jupiter. Once you have explored Jupiter, you could venture out to visit the many natural and cultural attractions of the South Florida area. Spend time at South Florida's lighthouses and be sure to relish the region's beaches and everglades. Wise travelers in this part of United States of America love hiking, cycling and wildlife watching. Boca Raton is 40 miles (64 kilometers) south of Jupiter and is where you'll find Florida Atlantic University and Mizner Park. 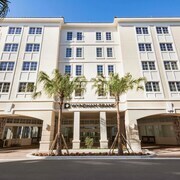 The Boca Raton Marriott at Boca Center and Renaissance Boca Raton Hotel are just some of the convenient lodging choices in Boca Raton. 18 miles (30 kilometers) to the southeast of Jupiter, is West Palm Beach, which features the Casa Grandview and The Chesterfield Palm Beach. The Rapids Water Park and CityPlace are frequented attractions to check out should you visit West Palm Beach. 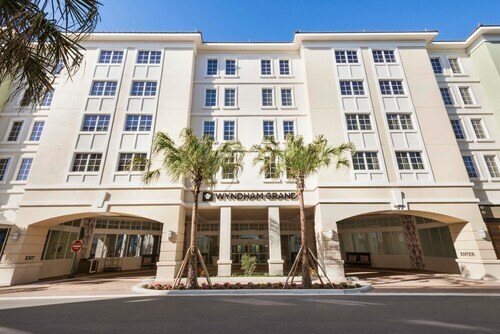 For the modern traveler flying through Palm Beach International Airport, you may plan to book Travelocity-listed rooms at Marriott West Palm Beach Hotel, or Grandview Gardens Bed & Breakfast, which are both located a short taxi ride away. Wonderful location right across the street from Roger Dean Stadium! Great little inn on the water! It was clean, quiet and comfortable. We would definitely stay there again! It's convenient and easy to find. Convenient for my travel need!!! Great location with plenty of shopping nearby!!! 2 months ago by A verified traveler from Arvada CO. Excellent on every level with one small complaint... at 4pm in the afternoon after returning to our room, the cleaning staff had just gotten to our room to clean it. It wasn’t that we left our room late morning or had up a Do Not Disturb sign. It was a little inconvenient having to wait for the staff to clean the room before we could get comfortable. The desk employee addressed a problem with our room keys quickly and politely. Very good breakfast. Great convenience and amenities. Pretty pool area, yummy breakfast with healthy options. Luxury Freshly Renovated Jupiter Retreat on the Park by the Beach!